Stewart ''P.C.'' Simpson (Tom Burlinson, The Man From Snowy River) lives in a magnificent beachfront home with his wealthy father and indulges his passion or windsurfing on a daily basis. His father (Charles ''Bud'' Tingwell, Breaker Morant) may fault him for not working at a regular job, but he can appreciate his son's remarkable abilities on the waves. When P.C. meets a beautiful rock singer (Academy Award Winner, Nicole Kidman, BMX Bandits, Moulin Rouge!, The Hours) a love affair begins. As the romance blooms, sport, friends and an upcoming championship become secondary. When several setbacks occur on the road to the competition, will P.C. wipeout completely, or sail to victory? 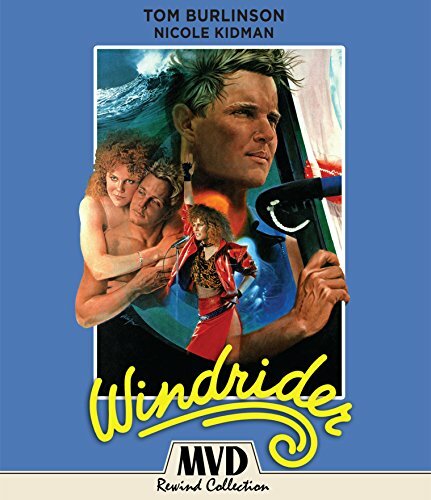 A hit with young audiences both in Australia and the U.S.A., Windrider makes its high definition special edition debut from Umbrella Entertainment and the MVD Rewind Collection.